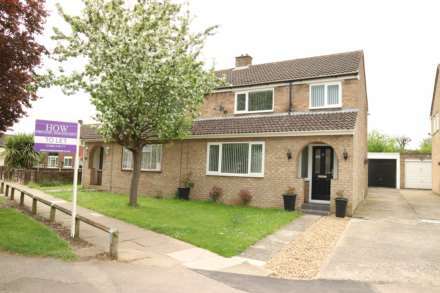 APPROXIMATLEY 3 MILES TO CMK MAINLINE TRAIN STATION SERVING LONDON EUSTON.......1442 SQ FT......NO UPPER CHAIN..........Homes on Web are absolutely delighted to announce to the market this four bedroom detached property situated in the popular area of Furzton, in the West of Milton Keynes. With the property in close proximity of local shops and amenities, a sought after school catchment and a short walk to Furzton Lake, which provides beautiful picturesque walks, this property really does tick all of the boxes you would want for a family home. This property is also located within 3 miles of Central Milton Keynes which is home to a variety of popular shops and restaurants and the Mainline Train Station serving London Euston. In brief this property comprises; Entrance hall, cloakroom, lounge, re fitted kitchen, utility room and extended garden room. On the first floor there are four good sized bedrooms, with an en suite to the master and a re fitted shower room. Outside there is a private rear garden with a patio area perfect for entertaining and a driveway providing off road parking for multiple cars leading to a single garage. This property really does need to be top of your viewing list to fully appreciate the accommodation on offer. Double glazed front door. Stairs rising to first floor accommodation. Under stairs storage. Amtico flooring. Doors leading to cloakroom, lounge, garden room and kitchen. Double glazed bay window to front (with blind included in sale). TV and telephone points. Radiator. Double glazed doors leading to garden room. Amtico flooring. Skylight window (made from self cleaning glass). Double glazed bi-folding doors leading to rear garden. Recently refitted in a range of bespoke high gloss wall and base units with complementary work surfaces. One and a half bowl solid stone sunken sink and drainer with chrome mono black mixer tap. Five ring Neff hob and duel single Neff `slide and hide` ovens with cookerhood over. Built in Samsung American Style fridge freezer, wine fridge and Kenwood dishwasher. Central island with complementary solid quartz work surfaces and high gloss base units with wine rack (bar stools to be included). Cupboard space which includes space saving devices such as corner carousel and pull out larder to maximise storage. TV mounted above island to be included in sale. Amtico flooring. Door leading to utility room. Open plan leading to garden room. Double glazed window to rear. Fitted in a range of wall and base units with complementary work surfaces. Built in washing machine and dryer. Storage cupboard housing 3 year old Worcester boiler system. Amtico flooring. Radiator. Double glazed door leading to side. Double glazed window to rear. TV point. Free standing wardrobes (included in sale). Radiator. Door leading to en suite. Fitted in a three piece suite comprising; Low level WC, vanity wash hand basin and panelled bath. Heated towel rail. Fully tiled. Double glazed frosted window to front. Fitted in a three piece suite comprising; Low level WC, wash hand basin and double shower cubicle. Fully tiled. Heated towel rail. Extractor fan. Tiled flooring. Double glazed frosted window to rear. Mainly laid to lawn. Patio area with feature lighting. Gated access. Filled with an array of mature shrubs, bushes and trees. Private front garden with shingle and hedge borders. Driveway providing off road parking for multiple cars leading to single garage.